CLEAR VOICE—“Dandy” Dan Daniel, who died at age 81 on June 21, was a legendary New York radio disc jockey who said he wanted to “touch people’s lives” and did not check his Catholic faith at the microphone. Music radio lost one of its great disc jockeys, and I lost an on-air friend and a piece of my youth, when Dan Daniel died June 21. I began listening to Dan when I was 13 and just discovering rock ’n’ roll. I loved listening to my transistor radio, and the DJ who played the music became part of my life. The best of them were more than a voice on the radio; they were like friends. Dan Daniel was the best of the best. It was obvious that behind the voice was a man who was genuine and who really cared about the people who tuned in to his show. But I never dreamed that one day, as a reporter, I would interview him. Dan was a Catholic, and in 1996, I wrote a feature story about him for Catholic New York. He was working in Manhattan, playing oldies at WCBS-FM, and I went to the studio. My teenage enthusiasms and uncertainties swirled around me once again, because I felt excited to be meeting one of my on-air heroes, but also nervous at the prospect of interviewing a radio legend. I took the elevator up to Dan’s floor, and when I stepped out, instead of a staff member, I found Dan himself waiting for me. He greeted me enthusiastically and told me that he was excited to meet me because he had been reading my stories for years. I was dumbfounded. Dan was probably known to a few million people from his radio programs and charity work for St. Jude’s Research Hospital. My reading audience, by comparison, was much smaller. And he was excited to meet me? I was touched to the heart by his humility and kindness. It’s a moment I’ll never forget. Dan told me about his early years in Texas. He was born during the Depression into a poor, sharecropping family that was devoutly fundamentalist Christian. His father worked in the oil fields. Dan joined the U.S. Navy and got into Armed Services Radio in Manila. There, he dated a young Catholic woman and met her family. Impressed by their faith, he took instructions and was received into the Catholic Church at age 20. The romance ended, but his faith lasted. Later, Dan worked in radio in Houston and then Minneapolis, where he met his wife, Rosemary Bialon, also a devout Catholic. They married in 1959 and had two sons and a daughter. In 1961, they moved to New York when Dan was hired by WMCA; he also worked for WHN and WYNY when they were country music stations. 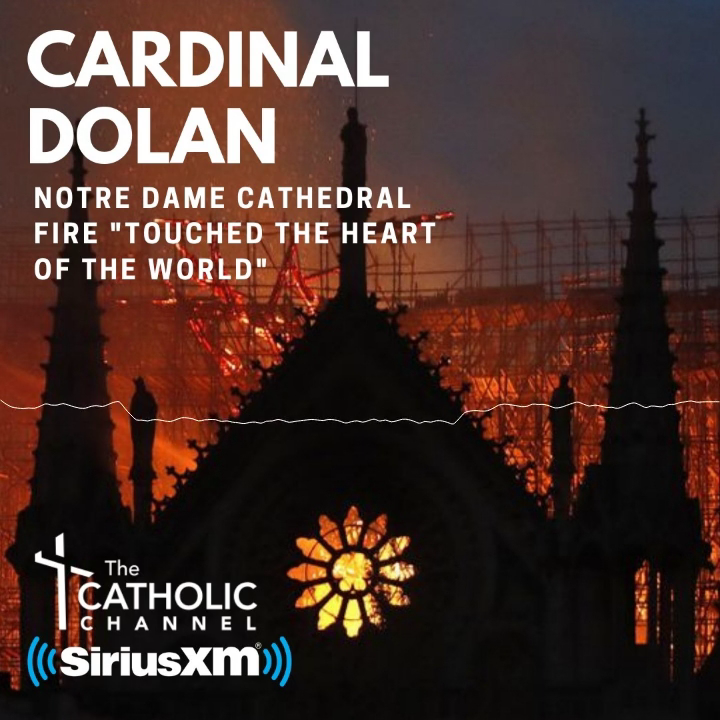 I remember hearing Dan say on the air one day that it was “December 8, feast of the Immaculate Conception.” That’s when I realized he was a Catholic. I mentioned it during our interview, and Dan said that he wanted his listeners to know who he was. That included his faith. “I bring everything about me to the microphone,” he said. He also told me, “I really want to make a difference. I want to touch people’s lives.” He did that with exceptional dedication on the night of Nov. 9, 1965, during the blackout that darkened the northeastern United States and part of Canada. The lights went out during Dan’s three-hour program, but he stayed at the mike, encouraging listeners, for four more hours, the only non-newsman on the air. Dan and Rosemary were active in their parish, SS. John and Paul in Larchmont. I was privileged to attend his Funeral Mass there. Rosemary spoke about Dan at the conclusion. Dan’s sign off at the end of every show was, “Love you all, especially you, Size Nine.” Size Nine was Rosemary, of course, but I felt that Dan really did love his listeners. And I’ll bet many of them, like this one, loved him back. You touched our lives, Dan. We won’t forget. Rest in peace. Great story Claudia. I had tears in my eyes by the end. I remember him in the 1960's. Thanks so much for the memories.